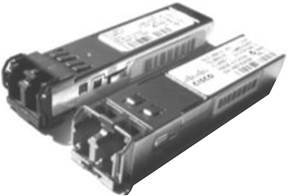 The Cisco Catalyst 4500 Series offers two classes of line cards: classic and E-Series. Classic line cards provide 6 gigabits of switching capacity per slot. E-Series line cards provide increased switching capacity per slot. This increase in per-slot switching capacity with the E-Series line cards requires the Cisco Catalyst 4500E Series chassis and the Cisco Catalyst 4500E Series Supervisor. Two types of E-Series line cards are available based on the per-slot switching capacity. E-Series line cards numbered 47xx operate at 48 gigabits per slot, while E-Series line cards numbered 46xx operate at 24 gigabits per slot. Classic line cards may be deployed in both classic and E‑Series chassis with either classic Cisco Catalyst 4500 Series supervisor engines or with the Cisco Catalyst 4500E Series Supervisor Engine. With the E-Series supervisor engine, the per-slot switching capacity for classic line cards remains at 6 gigabits per slot. However, because of the centralized switching architecture of the Cisco Catalyst 4500, the classic line cards will adopt all of the new E-Series supervisor engine features such as eight queues per port, dynamic QoS, and hardware-based IPv6 routing. For more feature details, refer to the E-Series supervisor engine data sheet. Classic line cards and E-Series line cards may be mixed and matched within a Cisco Catalyst 4500E Series chassis with no performance degradation: classic line cards will operate at 6 gigabits per slot, and E-Series line cards operate at either 48 gigabits per slot or 24 gigabits per slot based on whether they belong to the 47xx or 46xx family of line cards. Table 1 summarizes the chassis and supervisor support for both classic and E-Series line cards.